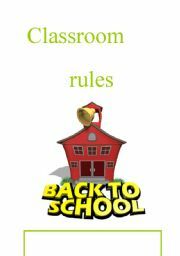 In Spain we have just started our school year, and first of all we should set our rules in the classroom. I leave you here a list of rules; I have taken the pictures from the web. I hope you like and use them. Have a nice school year!! There is a reading comprehension, drawing and speaking in the same worksheet! I hope you enjoy it. 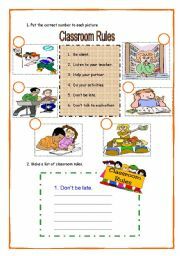 With these workshet, students can use the future tense (will) in order to make predictions about their life. There are some small texts and students will have to read them and then interpret what they see in their hands. They can also act the role of palm reader with their partners. I hope you enjoy it. There are two activities. 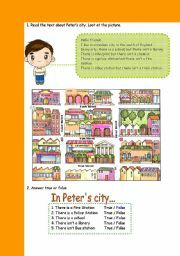 In the first one students have to choose the correct answer according to the map. 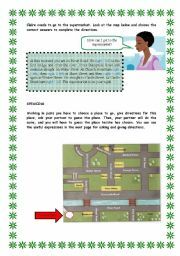 In the second, students speak about directions. I scanned the map from a book, but I dont remember its name. I hope you like it. 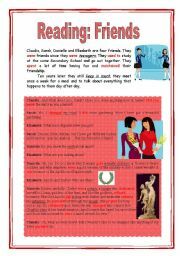 This is a text about the sequence in Angela�s normal day. 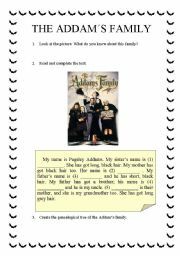 After it, there are some activities to check reading comprehension. I hope you enjoy it. First, as a warm-up, students talk about this family, telling eveything they know about them. Then they read the text and fill in the blanks with the names of each member. Finally, they create the genealogical tree of this family. 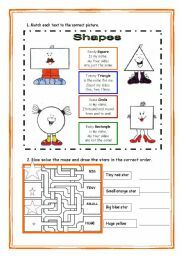 There is a matching activity of each rule to the correct picture, and then students have to make a list of rules for the classroom. I hope you enjoy it. 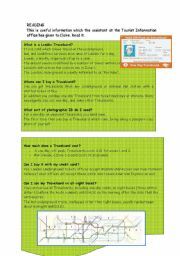 A text with information about "London Travel Card". Then, you have some questions for the reading comprehension.